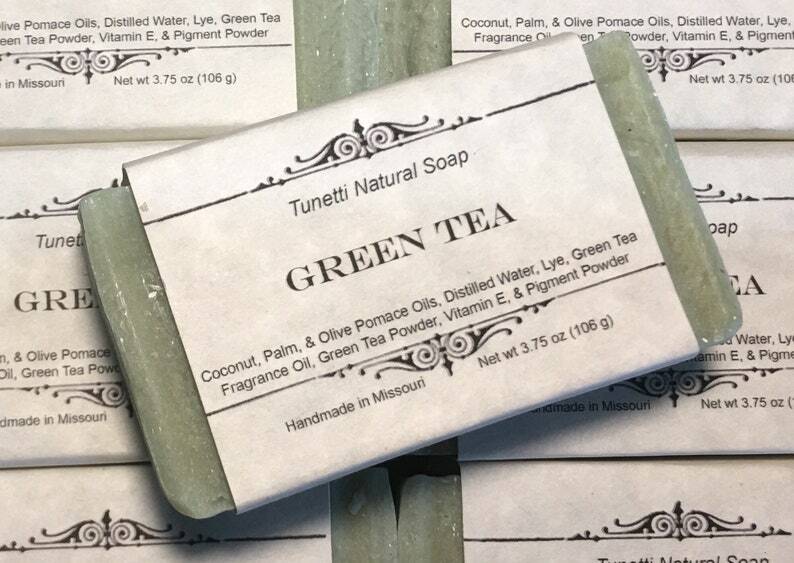 This natural soap is made with the following ingredients: Coconut Oil, Palm Oil, Olive Pomace Oil, Distilled Water, Green Tea Powder, Green Tea Fragrance Oil, and Vitamin E.
Each bar is approximately 3" x 2.5" x 1" and weighs from 4 ounces. Each bar is cut by hand so sizes and weights may vary. Thank you so much for the amazing smelling soaps and the quick and efficient shipping! Also thanks for the free soap samples with my order. Will definitely order again! Lovely! Thank you so much much!